Suppose a point on the curve given above has the property that . 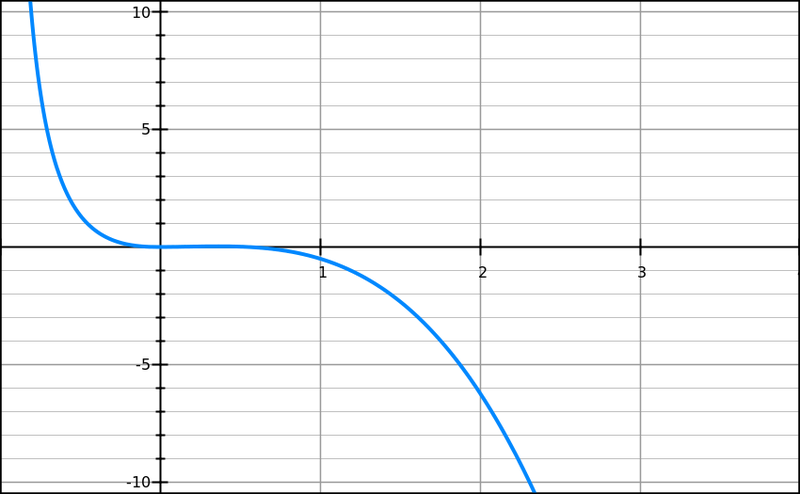 Based solely on the graph above, which of the following is most likely the value of the point in question? If then the graph must be concave up at the point. Based on the picture, we know that the curve is concave up on at best. The only value that falls on this interval is , which is . Since , this definitely falls on the interval given and we can be sure it is concave up based on the picture. What is the critical point for ? To find the critical point, you must find the derivative first. To do that, multiply the exponent by the coefficient in front of the and then subtract the exponent by . Therefore, the derivative is: . Then, to find the critical point, set the derivative equal to .